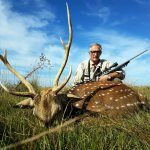 Argentina’s Best Hunting likes to be after every detail, which is why we can help you and take care of your domestic flights, charters and even any other tour you would like to take inside Argentina. ​We wish to make of your trip the best experience! There are daily flights to the Airport of Santa Fe , airport code SFN, with Aerolineas Argentinas and Sol Airlines. Flying to this airport will leave you about a 3 hour drive to the lodge. 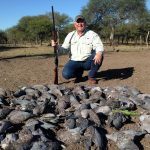 If your flight arrives by midday, we normally do the first hunt on the way to the lodge. You may also fly to Goya, airport code OYA. This airport is only 1 hour drive form the lodge but with only 2 flights a week, these are with Macair Jet. There are daily flights to the Airport of Santa Fe , airport code SFN, with Aerolineas Argentinas and Sol Airlines. From the airport to the Estancia you have 1 ½ hour drive. Another option is to fly into the city of Parana with Aerolineas Argentinas, although the flight arrives late afternoon. The airport code is PRA and the drive to the lodge will be 1 hour. This is an option many of our groups take advantage of. Charter airplanes work very well for parties over 4 hunters and they depart directly out of the International airport in Buenos Aires . 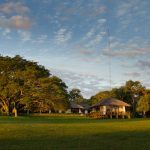 If your destination is Estancia Cortaderas, then you will land in Parana . If your hunt will take place at Malalcue Lodge, then you will land at the airport in Goya. Both airports are only 1 hour away from each lodge. 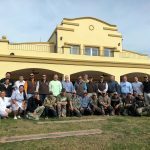 Whether you choose to fly commercial or charter an airplane, Argentina ’s Best Hunting can take care of all the necessary arrangements for your group. 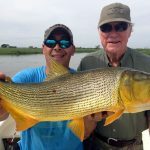 It doesn’t matter which airport you arrive at, Santa Fe , Parana or Goya, a representative from Argentina ’s Best Hunting will be there to meet you and transfer to your lodge.